There are many reasons that employers provide their staff with employee benefits. Employee retention is higher and recruitment easier. It’s typically tax advantageous with health and dental premiums not being taxable benefits to employees. The reality is when we talk to business owners there is a sense of caring. They want to look after their employees and their employees’ families, not just as an efficient part of their business but more as an extended part of their own family. Most employers are protective of their employees and benefits help them provide some of this net of security for them. Let’s face it, if people had the choice they would spend their time with family and friends. Since most of us must work, we might as well use work to make our lives better. 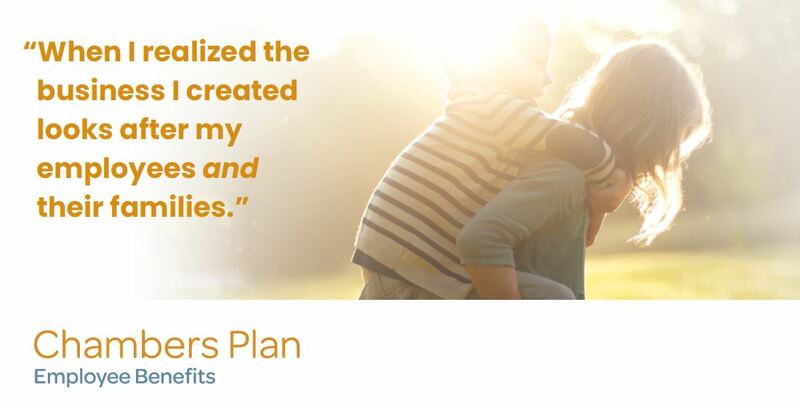 Employers know this and they realize the business they have created not only looks after themselves and their families but also their employees and their families. By caring for their employees employers reap many other positive rewards. An EAP, or Employee Assistance Program is a perfect example. Typically a low-cost item, an employer may add it to their benefits plan to provide counselling for employees who may need a little help from time to time. An employee may have a spouse or dependent child who needs counselling and because it is now available the employee will not be focusing on that issue at work, making them a more positive, productive employee. More traditional benefits are helpful in many ways. An employee with a tooth that’s bothering them or out of date glasses can improve their well-being by having those things looked after. Their home life may improve if their dependents could also have the ability to update any issues they may have. Drugs are an even larger issue. Today with the spiraling cost of drugs, knowing you have some coverage means that if a family member needs a script they can obtain it and follow the proper course of treatment. Without coverage drug adherence levels slip and people are less likely to get or maintain the treatments they may need for their own individual situations. Another simple by-product of a benefits plan is that employee attendance improves. Not only are they not taking as much time off to help dependents but the employee is also less likely to miss time at work for their own reasons. In addition, if they are healthier the time spent at work will be more productive statistically speaking. The other reality is that they will view their employers differently. If as an employer, you provide a decent level of benefits and wellness options your staff will feel that you do care. The result of this is clear; they will be far more likely to perform well and be more helpful when you may need it or than if you didn’t provide them with benefits. In other words, they will care back. Employee satisfaction gets spread. Clients sense it and it can lift a business above its competitors. If clients know you treat your staff well they will be more likely to trust and do business with you as an employer. Happy employees also tend to have less internal conflicts with each other. They will tend to solve problems more as a team. Internal conflict amongst staff is an employer’s worst nightmare as it creates negativity in the workplace and eats up productive time. There’s nothing worse though is avoidable by simply creating a positive atmosphere for you staff. Often a disgruntled employee has a situation at home that’s bubbling underneath the surface. Having the ability to resolve that problem with a benefits plan has so many positive unintended consequences. Finally, there’s the true insurance items. If the plan has disability coverage or critical illness and an employee finds themselves sick or critically ill, they are still able to financially help their family with some replacement income until back on their feet. While the benefits are different both serve a positive purpose. An employee can be critically ill but not able to attend work while not considered disabled. Vice versa they may be unable to work but not be critically ill. It’s important to discuss with an advisor which is more beneficial to your staff or if both make sense. 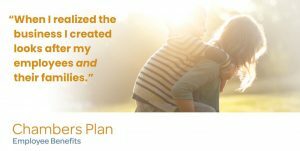 All traditional group plans have an element of life insurance and again, that benefit can create a huge impact to an employee’s family who has lost their loved one. There are so many positive consequences for owners who do care for their employees and that can put a benefits plan in place. Visit chamberplan.ca today for more information.